Fremont Memorial Chapel is a prime resource for funeral planning services in Newark CA. Owned and operated by the Rose family, Fremont Memorial Chapel provides professional and compassionate funeral home services. 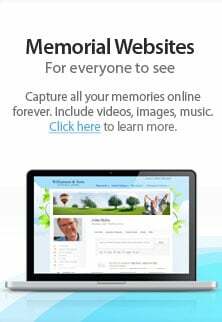 We created this website as a useful resource to people who have recently experienced the passing of a loved one, or who want to consider making their own funeral arrangements. The Rose family and our funeral directors offer the highest standard of care to families. Whether traditional graveyard burial or cremation are your preference, know that we offer services for all religious denominations. The funeral directors at Fremont Memorial Chapel will take the time needed to counsel the grieving family. We accommodate each family's wishes where memorial services, funerals or cremation are concerned. Our friendly staff will take care of every aspect of the funeral service and various other arrangements. We also provide funeral shipping services. We provide prepayment plans and encourage prearranging all aspects of your own funeral services. One advantage of a prepaid plan is that you will lock in the cost of your future funeral at today's prices. Removing the unexpected expense of funeral arrangements will be appreciated by your family when the time comes. Give a call to one of our funeral directors if there is anything that you are not able to find on this website. (510) 793-8900.